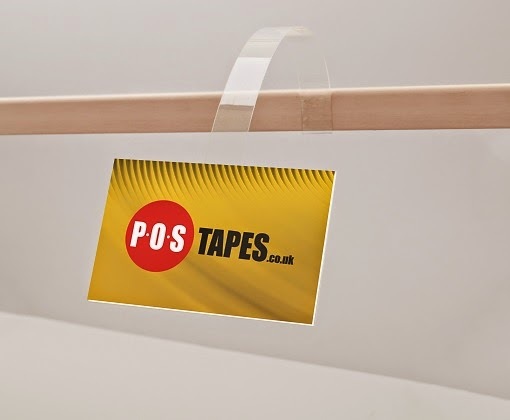 POS Tapes are fast becoming the main manufacturer of Hang Tabs and Euro Hangers in the UK, They are produced in our purpose built factory in Newcastle-Upon-Tyne. POS Tapes has the product display solution for all Euro Hanger enquiries. We have the capabilities to design, produce and supply bespoke made products to give our customers the desired result they require. Allowing the customers to display and hang products at Point of Sale and Point of Purchase locations will increase the visibility of products at the impulse buying stage. Hang tabs also enable you to fit more products in the same space compared to shelf display. As a UK Manufacturer we hold millions of our Euro Hangers on the shelf ready for same day dispatch. All of our products have had long term in house testing and we use those excellent results to offer our customers guidance on the correct products. 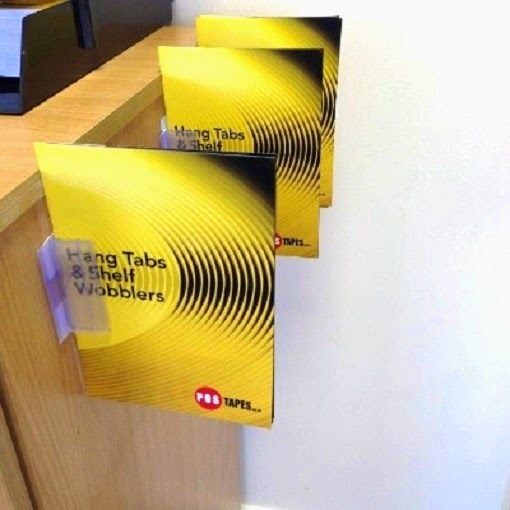 Our range of Hang Tabs are produced to handle different weights reaching 500g. However we still recommend customers to test with their chosen display. 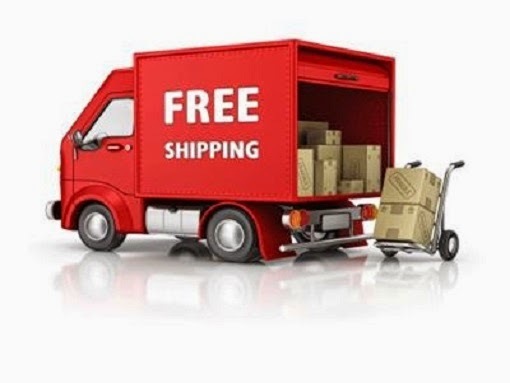 We are happy to offer sample packs free of charge. 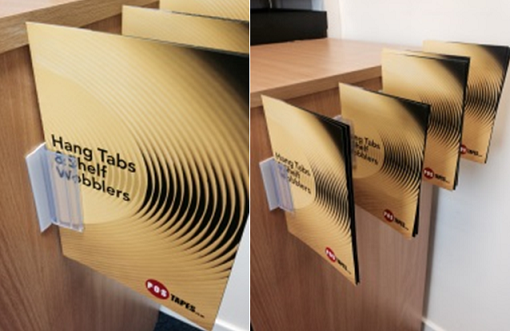 Hang Tabs help maximise merchandising opportunities by displaying products at eye level in store. 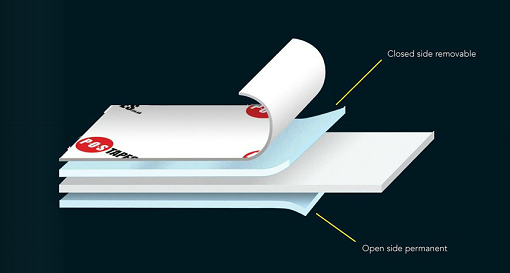 We cover a wide range of adhesive Hang Tabs including euro slot, round slot, hook and delta slot. Our hang tabs are available in square, radius, flexi tab, standard tab, folding tab as well as hang tabs for reinforcing and repairing. In order to help the environment we utilise recycled Apet plastic in all of our Euro Hangers and hang tabs. Since we released our Heavy Duty Sign Holder a few months back, we have had great response with regards to this new product. Now supplying this Sign Holder across the UK and Europe, our Heavy Duty Sign Holder proves a great addition to our diverse range of products. Its the perfect solution for displaying signs on shelving in stores. Simply peel off the back liner to reveal the permanent, high tack, white adhesive foam tape then stick to your preferred surface. Magnetic Tape Ideal if you want to use the Sign Holder on a magnetic surface. Permanent / Peel able Foam Tape Perfect if you want to temporary apply the Sign Holder onto a surface then peel away to leave no adhesive residue. Adhesive: Standard is our permanent, high tack, white adhesive foam tape. call 0191 2697810 or email sales@postapes.co.uk for further information. 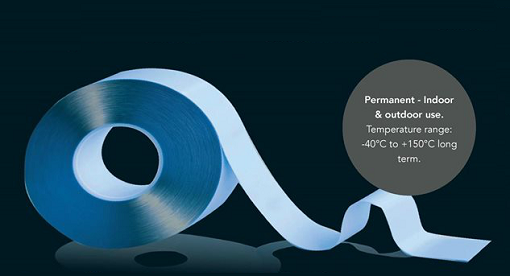 Best quality Banner Hemming Tapes available from POS Tapes. We have an extensive range of high performance Banner Tapes available, suitable for both indoor and outdoor use. They are available as single or double sided tapes and are both thicker and stronger than other banner tapes in the industry. This guarantees that they maintain a high performance quality. • A proven high performance due to high modified acrylic adhesive which is highly resistant to environmental factors including high and low temperatures, UV, cleaning agents and high humidity. 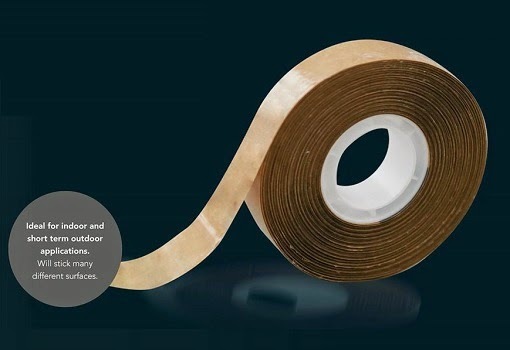 If you are using a Tesa or Orafol double sided tape and would like a samples of any of our Banner Tapes please contact us on 0191 2697810 or email sales@postapes.co.uk. 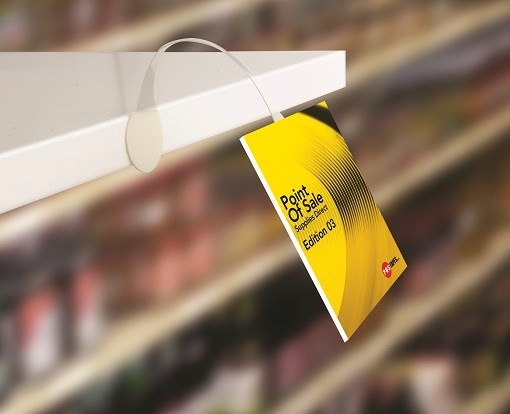 POS Tapes shelf wobblers are an ideal way of promoting products at eye level Point of Sale while also at the Point of Purchase. 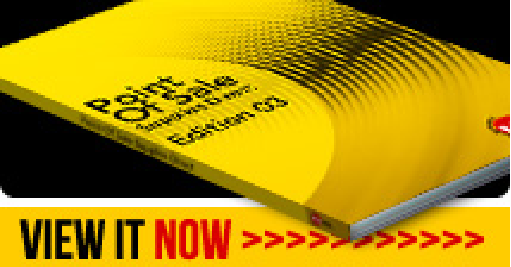 They are an excellent tool to help increase the sale of your products. 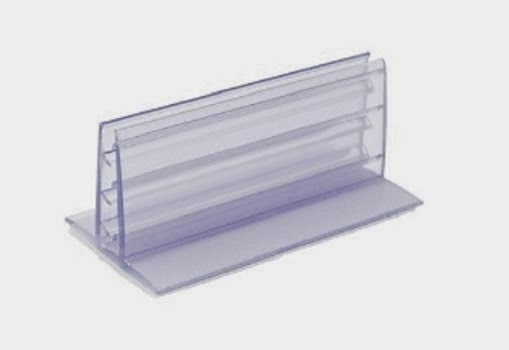 Shelf wobblers, like our range of wobbler here are an integral part of every and any store. They are designed to help advertisement of products while providing that POP and eye catching display by bringing attention to your product at the point of purchase where 80% of buying decisions are made. We have many POS wobblers in stock including T shaped and round ended wobblers and many more. Wobblers are available in a range of shapes and sizes and will make your items stand out in the crowd. POS Tapes wobblers are environmentally friendly and made from recycled APET plastic.They are simple to use and an effective display systems and shelf edge advertising. The perfect solution for displaying signs on shelves in your store. The clear plastic makes the sign fully visible. Simply peel off the back and stick to your preferred surface. This tremendous heavy duty sign holder as multiple adhesive options. They are available with our premium grade perm / peel foam which will leave no residue, Permanent adhesive for long lasting product display. They are also available with a magnetic backing ir non adhesive to make them removable and reusable. View our other Point of Sale products on our website at www.postapes.co.uk. Special Price: £19.99 per roll. Size: 38mm x 50mm wide, 3,000 per roll. 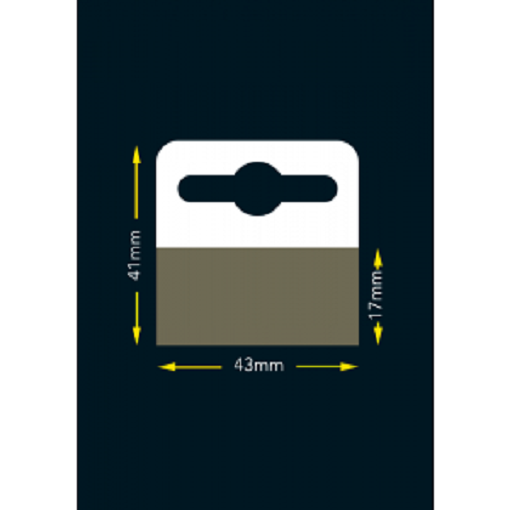 The Premium Grade Eurohanger Repair Tags can be used on cardboard, plastic to strengthen and support your product. It can also be used to repair euro slots that have been damaged. Information on our other products can be found on our website here. 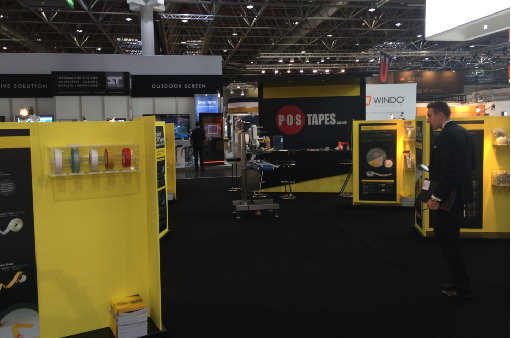 POS Tapes recently exhibited at the world’s leading retail fair Euro Shop in Dusseldorf, Germany. Euro Shop is one of the World’s major retail exhibitions and with over 109,000 visitors from 110 countries it is a 5 day event not to be missed. 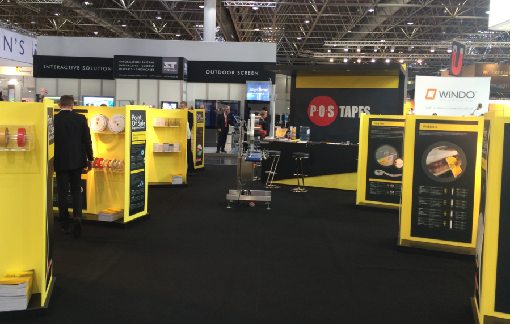 It was a very exciting opportunity for POS Tapes to exhibit at this prestigious show as it gave us the chance to expand our presence in the European Point of Sale market. It was also a great opportunity to meet up with our existing customers and suppliers across Europe & the World as well as meeting new customers and creating new working relationships. At POS Tapes it is all about the customer: we want to understand what demands they face in their businesses and how we can help them to make their life easier. Euro Shop was the perfect launch date for our new Automatic Hang Tab application machine. This machine enabled us to show our customers and prospects how hang tabs can be automatically applied to a product. This makes the process of displaying products in a retail environment quick and easy, giving our customers more time to look after their customers! It was 5 days of making new contacts and establishing relationships with customers and suppliers whilst at the same time learning more about the Point of Sales industry across the world. We are proud of all the the inquiries we have received and we shall have your samples and quotations out in the next days. We will be back in 2017, exhibiting at the show again and we are already looking forward to it. Thank you for everyone who visited us at the show. We are looking forward to doing business with you in the future. You can always contact the POS Tapes team on +44 (0)191 2697810 or email us at sales@postapes.co.uk. Alternatively you can visit our website by clicking here.